The PT thread screw features a compound geometry of the flank angle of the thread. Improvements include better deformation of the plastic material during the fastening process, increased service life of the joint both in case of static and dynamic stress. Up to 50% improved torsional and tensile strength for the same diameter fastener. The optimized pitch provides a higher clamp load at low contact pressure by increased flank engagement. Star drive is torx compatible, designed to reduce the risk of cam-out. 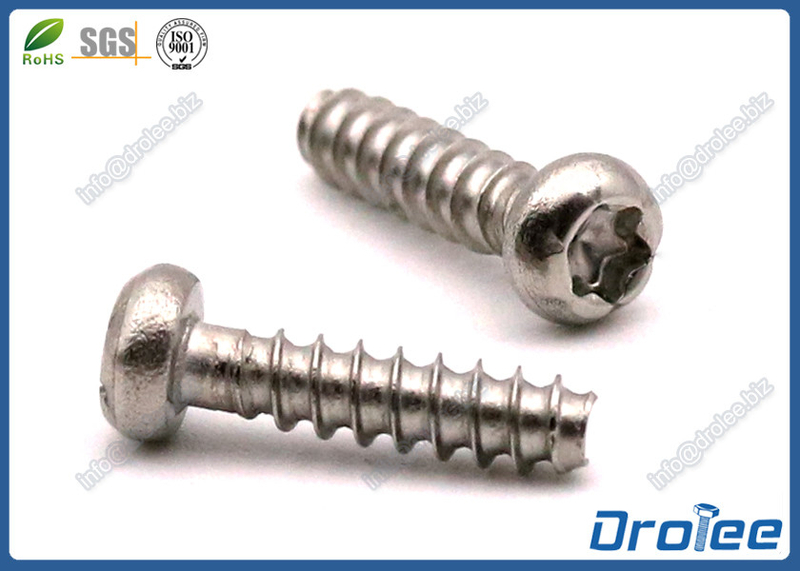 If you're insterested in our stainless steel torx pan head PT thread screw for plastics, please do not hesitate to send us an email or call us directly. For stock, we suggest you double check from us before placing order, thank you!